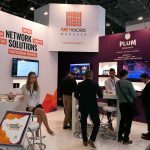 Network Manager at ANGACOM 2017 (30 May - 1 June 2017, Cologne, Germany) - Network Manager d.o.o. 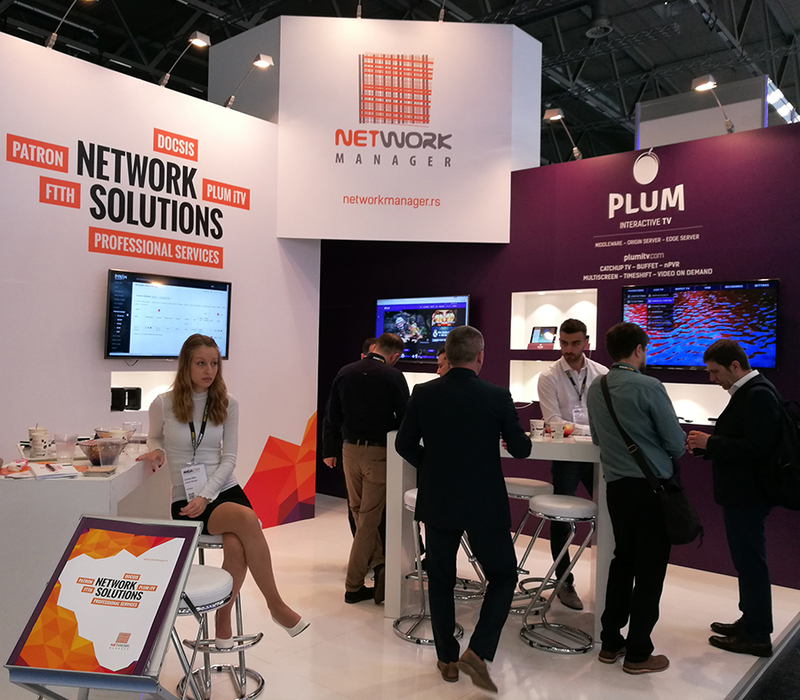 This year’s ANGACOM congress and exhibition reached new record levels and ended with an outstanding result of 460 exhibitors. We can proudly say that our company was part of this story. 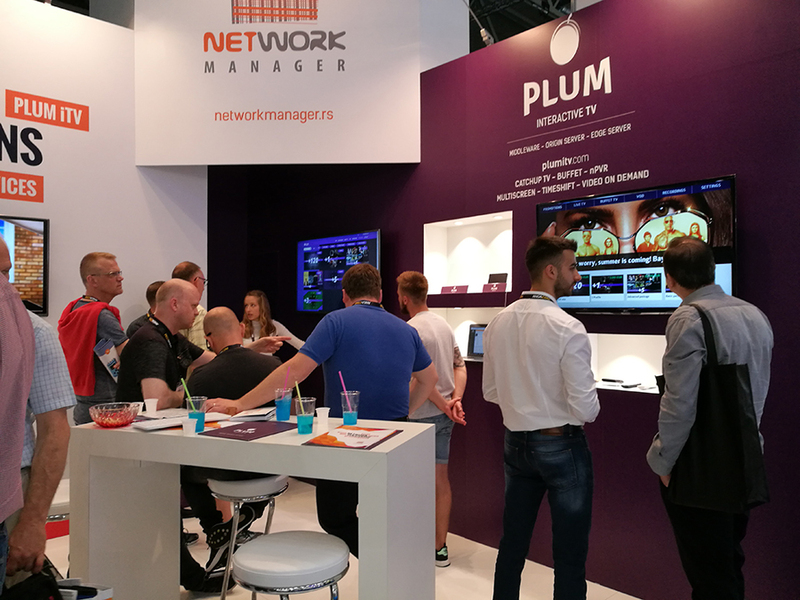 We have continued tradition of exhibiting on ANGACOM, and this year we have presented our wide range of solutions and products that we have (Plum iTV, FTTH, Eurodocis…) to potential clients. The main focus is on presenting our innovative software solution for interactive TV that combines Middleware, Origin server and Edge server enabling all the benefits that are important for end users but also for the providers. Also, there is a large interested in GPON and DOCSIS solution based on Patron provisioning and administration software. Many years of presence on IT market has positioned our company as easy recognized and a reliable partner for various projects that we can offer to our clients. 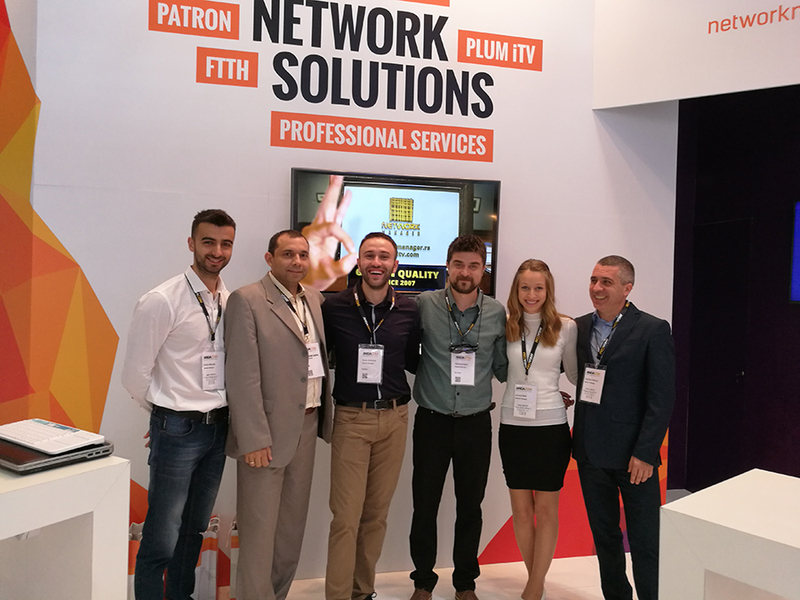 At our stand visitors were introduced with our solutions that dedicated and experienced team of NM has developed, and feedback was amazing. Something that we are especially proud is new feature Buffet that Plum iTV can offers. This is an innovation that combines CatchupTV, Live TV and EPG through a unique overview of video content. Our engineers are fully dedicated to innovate a new ways of watching TV on any platform in order to provide users greater freedom of watching at any moment what they want and how they want. Part of the atmosphere can be viewed on our social networks.